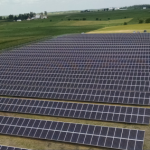 This past Monday, President Trump decided to impose tariffs on imported solar panels in what could be his biggest blow to renewable energy thus far. Since his inauguration, the Trump administration has undermined the renewable energy industry in several ways. It has withdrawn the U.S. from the Paris climate agreement, backed out of Obama-era regulations…. In November, Eversource Energy filed basic service electric rates for its Massachusetts customers for the period starting January 1, 2018 that marked a 20% increase from previous rates. At the time, Eversource customers expected to see a $37 million increase—$12.2 million for customers in eastern Massachusetts (previously under NSTAR service), and $24.8 million for customers…. National Grid has filed with the Massachusetts DPU new electricity default service rates for industrial customers for the February through April 2018 period. National Grid’s filed rates, which include the currently effective Basic Service Administrative Cost Adjustment Factors (BSACFs) and Smart Grid Customer Cost Adjustment Factor (SGCCF), are below in $ per kWh. National…. Eversource Energy (formerly known as NSTAR) filed basic service electric rates with the Massachusetts Department of Public Utilities (DPU) for the period starting January 1, 2018 that are over 20% higher than current rates. Separate from its default service procurement, Eversource has pending customary updates to other by-passable riders which are included in the total…. Last week, U.S. Energy Secretary Rick Perry issued a letter asking the Federal Energy Regulatory Commission (FERC) to consider adopting rules that would provide non-market compensation to generating units like coal and nuclear power plants. Per federal statute, the FERC is obligated to at least consider Perry’s proposal, but is not required to accept it…..
National Grid (NGRID) recently filed electric default rates with the Massachusetts Department of Public Utilities (DPU) that are set to increase a massive 34 percent starting November 1. Both residential and commercial customers will be affected by the filing. For example, residential customers can expect NGRID’s fixed basic service rate to increase from $0.09432 per…. 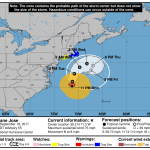 As Hurricane Jose makes its way up the east coast, the National Hurricane Center (NHC) has issued a tropical storm warning for parts of New England: from Watch Hill, Rhode Island, to Hull, Massachusetts, including Block Island, Martha’s Vineyard, and Nantucket. A tropical storm watch has also been issued along the coast of Long Island…. Over the past few days, Hurricane Harvey has devastated thousands of people in southeastern Texas and the surrounding area. 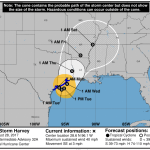 The category 4 hurricane has topped 130 miles per hour and dumped 50 inches of rain around Houston. In addition to this unprecedented devastation, the hurricane has also wreaked havoc on the region’s refining industry. According…. The Baker administration plans to propose rules that would count woody biomass – a fuel that comes from felling trees and clearing brush in forests – as a form of renewable energy. Under the proposal, users of woody biomass could be rewarded with subsidiaries. The administration claims that biomass is part of the effort to…. Last week, Deepwater Wind, an offshore wind and transmission developer based in Providence, Rhode Island, announced plans to bring a new offshore wind farm to Massachusetts. Deepwater developed the country’s first offshore wind project near Block Island, Rhode Island. That project began operations in December 2016 after being initiated nine years ago. (The developer has….